November 2, 2016 – Alliance of Women Coaches Announces Partnership with Coaches Inc.
Alliance of Women Coaches Announces Partnership with Coaches Inc.
Today the Alliance of Women Coaches and Coaches Inc. announce a partnership that will assist in legal and career counsel. Coaches Inc. is a sports marketing agency that represents college and professional sports coaches, offering services in contract negotiations, legal consultation, career planning, and marketing and promotional opportunities. Coaches Inc. will also contribute to the Alliance by providing educational sessions at future NCAA Women Coaches Academies. The NCAA Women Coaches Academy, conducted in partnership between the Alliance and the NCAA, is a unique, transformational in-person learning opportunity for female coaches. Founded in 2006 by former NFL Coaches Association attorney Dennis Cordell, Coaches Inc. has grown into a dynamic company with an impressive current client list of professional and collegiate football, men’s basketball and women’s basketball coaches. The Alliance of Women Coaches and LGBT Sport Safe announced a partnership that will assist in creating inclusive athletic communities for coaches, administrators and student-athletes alike. Launched earlier this year by co-founders Nevin Caple and Dr. Eric Lueshen, the LGBT SportSafe Inclusion Program was developed to create an infrastructure for athletic administrators, coaches, recreational sports leaders and professional sports leagues to support lesbian, gay, bisexual, transgender and queer inclusion. LGBT SportSafe utilizes a new benchmarking framework to help athletic leadership champion a culture of respect and inclusion. The “3-Peat Model” addresses the importance of Programming, Policy and Public Awareness at all levels of sport, while offering incentives to institutions, teams and leagues that reach inclusion goals. The program, which launched with Founders Club members, University of Nebraska, University of Oregon, and Northwestern University, offers benefits for member institutions that actively engage in inclusion. These include a Gold, Silver or Bronze medallion for the athletic department website, a listing in the LGBT SportSafe national registry of inclusive athletic and recreational sport communities, and exclusive access to Coaches Corner, a comprehensive online resource for LGBT inclusion in sports which provides everything from webinars and model policies to discussion forums and best practices for athletic professionals. The Alliance of Women Coaches is the premier organization dedicated to leading the field of women coaches, at all levels, by providing support, resources, and unparalleled events and programs which address the needs and interests of its members. The NCAA Women Coaches Academy, conducted in partnership between the Alliance and the NCAA, is a unique, transformational in-person learning opportunity for female coaches. LGBT SportSafe practices will continue to be incorporated into the three Academies conducted annually and attendees will learn best practices and policies critical to creating an inclusive environment. Ann Walker, a former softball and All-American basketball player at Iowa’s Northwestern College before a long career as a coach and athletic administrator, has been named Director of Events and Communications for the Alliance of Women Coaches. Ann, who brings over 25 years of experience at the NCAA Division I and II levels at Creighton University, Minnesota State University, the Sunshine State Conference, Nova Southeastern University and most recently the community college level at Clark College, will bring valuable perspective from the view of a coach and an administrator. Ann served on the NCAA Division II Women’s Basketball Committee for five years, chairing the national committee in 2008-10. She was also recognized by the National Association of Collegiate Women Athletics Administrators (NACWAA) as its 2012 Division II Administrator of the Year. Ann will organize the Alliance’s national and regional events that help educate, empower, and support women coaches at all levels of athletics. In addition, she will manage the Alliance’s communications efforts through its website and other media platforms. Walker’s hiring completes a reorganization of the Alliance’s staff that began with Kahn’s designation as incoming Executive Director two months ago when Marlene Bjornsrud announced that she would step down after two years in that role. The Alliance of Women Coaches in partnership with the America East Conference, Northeast Conference, Metro Atlantic Athletic Conference, and Patriot League hosted a Women Coaches Leadership Forum on Tuesday, May 17. The one-day educational workshop was held on the campus of Marist College. With the assistance of funding from the NCAA Office of Inclusion, the Alliance partners with conference offices to host regional events for women coaches. Workshops were piloted in 2015 in New Jersey with the Big East Conference and in California with the Big West and West Coast Conferences. After receiving positive feedback from WCC commissioner Lynn Holzman, Northeast Conference commissioner Noreen Morris felt strongly about offering this development opportunity for her coaches and administrators in the northeast region of the country and was able to collaborate with her fellow colleagues Amy Huchthausen, America East commissioner; Jennifer Heppel, Patriot league executive director, and Jessica Hegmann, MAAC senior associate commissioner in structuring the format for the Leadership Forum. With over 100 coaches and administrators in attendance, the Forum sold-out in a matter of weeks and had a wait-list of over forty coaches wanting to attend. The event featured panels consisting of coaches and athletic administrators, as well as networking and breakout sessions. “We know from experience that women coaches are looking for three things: information beyond the X’s and O’s, inspiration to keep them fired-up, and connections with female coaches across sports, across divisions, and across the nation. Our one-day workshops provide all three elements in an environment that is upbeat and fun,” said Alliance executive director Marlene Bjornsrud. “The NCAA office of inclusion commends the Alliance of Women Coaches and the leadership of the America East, MAAC, NEC, and Patriot League for joining together to provide a transformational learning and networking experience for women coaches. These types of partnerships and quality programming are significant for supporting women to persist in and to be successful in coaching and mentoring student-athletes,” said Amy Wilson, the NCAA’s director of inclusion. The Alliance provides educational opportunities and resources to support and retain women in the coaching profession. “The Leadership Forum gave a group of women the opportunity to start a conversation – a conversation about the very unique experiences and circumstances for women coaches. You don’t realize how necessary these types of forums are until you are in the thick of it,” said Lenika Vazquez, Canisius head women’s volleyball coach. For more information on the Alliance of Women Coaches or the Women Coaches Leadership Forum, visit gocoaches.org. Marlene Bjornsrud, who has served as Executive Director of the Alliance of Women Coaches for the past two years, will step down effective Aug. 1. Bjornsrud, who has strengthened the organization’s business foundation during her tenure while fine-tuning its programs to support and advocate for women college coaches, will serve as Director of Strategic Relationships during the transition to new Executive Director Megan Kahn. Kahn has been with the Alliance for four years, most recently as Director of Events and Communication. A former college assistant basketball coach in Texas, she has worked as an athletic administrator with the Atlantic Coast and Atlantic 10 conferences and formed her own consulting company. An important aspect of the Alliance’s work is establishing and maintaining mutually beneficial relationships with the NCAA, the governing body of college sports, and with athletic administrators at the institutions where women coaches work. 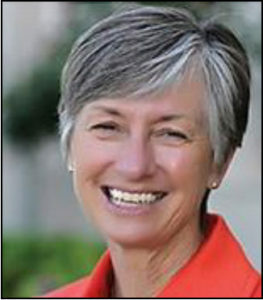 The Alliance of Women Coaches was founded in 2011 by Judy Sweet, a former athletic director at the University of California, San Diego and NCAA senior vice president, and Celia Slater, former head women’s basketball coach and senior woman administrator at Lynn University in Boca Raton, Fla. The Alliance has become an important and trusted voice, resource and community for all women coaches. Before coming to the Alliance, Bjornsrud was executive director of the nonprofit Bay Area Women’s Sports Initiative in San Jose, Calif., which she founded with Olympic and World Cup soccer stars Brandi Chastain and Julie Foudy. BAWSI called female athletes to service as mentors and role models for school-age girls in high poverty communities. 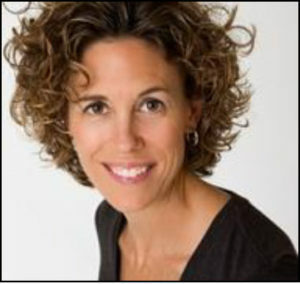 She began her professional career as women’s tennis coach at Grand Canyon University in Phoenix, moved to Santa Clara University as an athletic administrator and then became general manager of the San Jose CyberRays, a member of the first women’s professional soccer league in the United States. In 2013 she was honored in Switzerland by the International Olympic Committee with its Women and Sport Award for the Americas. For more information on the Alliance of Women Coaches, visit gocoaches.org. Anjana Turambekar grew up in a small village in India where few girls played soccer and her parents didn’t want a daughter who did. Getting from that environment to her current position of the All India Football Federation’s grassroots manager for the entire country meant forfeiting her family’s support and fighting through social taboos that few women in American sports today have ever encountered. Her story and her ability to share it are why the Alliance of Women Coaches was so pleased that Anju, as she likes to be called, was invited by the U.S. State Department to participate in the NCAA Women Coaches Academy Dec. 7-10 in Denver. Meeting with so many American women at all levels of sports administration is why Anju was happy to be here. “We all face common struggles,” said Amy Wilson, the NCAA’s director of inclusion, which focuses on international issues in a portfolio of concerns including women, LGBTQ, minorities and students with disabilities because foreign students are athletes at U.S. colleges and universities, which also hire foreign coaches. As a player Anju participated in India’s U-17, U-19 and Senior Women’s national championships, played for Pune University in the All India Inter University Football Tournament and represented her home state of Maharashtra at the high school national championships. Kelli Davis, who manages the Sports Visitors Program through the State Department’s Office of Sports United in the Bureau of Educational and Cultural Affairs, picked Anju from the alumni of previous sports exchanges with whom she stays in contact. “Her compassion and her love for inclusion in empowering young women and girls through sport is why Anju was invited,” Davis said. Since being named to her current position two years ago, the 28-year-old woman whose own family and village tried to discourage her love of sports and soccer has developed and implemented a grassroots development plan for 11 Indian states, organized 87 soccer festivals for more than 8,000 kids and conducted workshops to train more than 650 coaches. Soccer has taken her to Britain and Holland for advanced coaching training and to the United States on a previous visit, sponsored by the State Department, when she was a guest at the NCAA Women’s College Cup in San Diego. For more information on the Alliance of Women Coaches and the NCAA Women Coaches Academy, visit gocoaches.org. The Alliance of Women’s Coaches is pleased to announce four new members of our Board of Directors whose terms begin this month. Lori Kerans, Head Women’s Basketball Coach and Senior Woman Administrator at Millikin University. Green was an all-America softball player at the University of Utah, graduating in 1991. After working in a recreation program in Salt Lake City and creating an advisory board for developing an arts program for inner city youth, she was named assistant softball coach at Notre Dame in 2001. After four years in coaching, during which she earned her masters degree at Indiana University South Bend, Green moved into athletic administration at Notre Dame as head of the Office of Student-Athlete Welfare & Development and the sport administrator for women’s swimming & diving. She was hired at her current position at Penn State in 2011. Prior to coming to UMBC in 2013, Hall held a series of fundraising and administrative positions at Youngstown State University, Saint Xavier University in Chicago, Eastern Kentucky State University, Kent State and the University of Missouri-Kansas City. Hall has also held positions with the NCAA including, most recently, chairing the Committee on Women’s Athletics in 2014. Janney is in her first season as Indiana’s field hockey coach after 10 years as head coach at Temple. Janney is a 1999 graduate of Wake Forest University, where she lettered all four years, and a former member of the USA National Indoor Team. She was an assistant coach at James Madison University and the University of Pennsylvania before being named Temple’s coach. She was a basketball and softball player at Millikin, from which she graduated in 1985. After earning her masters at Illinois State University, she was named Millikin’s basketball coach and over 29 years compiled a 286-131 record with an NCAA Division III national championship in 2005. For more information on the board of directors, please visit gocoaches.org. Asha Jordan and Sahar Nusseibeh went to the 2015 National Association of Collegiate Women Athletic Administrators convention as guests of NACWAA and returned feeling a greater sense of connection between women coaches and women administrators. Their transformational experience took place Oct. 11-13 in Tampa, Fla., during meetings, socializing with other women in college sports and hearing the inspirational stories of women in leadership such as Sheila Johnson, the NACWAA Honor Award recipient. Johnson is the only African-American woman to have ownership in three professional sports teams, the WNBA Washington Mystics, NBA Washington Wizards and NHL Washington Capitals. Which is exactly what NACWAA hoped she would experience, said Gina Krahulik, its director of leadership and education. Jordan and Nusseibeh, who is beginning her third year as an assistant women’s basketball coach at Ohio’s Bowling Green State University, are recent graduates of the NCAA Women Coaches Academy. They attended the convention on scholarships as part of its growing partnership with the Alliance. Jordan said her takeaway was that both the Alliance and NACWAA have similar philosophies. At the forefront of both organizations’ concerns are that women reverse their declining numbers in college coaching, Krahulik said. One of the ways NACWAA hopes to do that is by helping women into more leadership positions such as athletic directors and conference commissioners. Nusseibeh said the convention made her aware of her role beyond coaching a team.